A Father comes home from work one evening and asking his wife and daughter for the whereabouts of his son, hears that he has gone to visit relatives. The father is saddened by the news: “That was not good of him to not say good bye.” With that he sits down for dinner. His wife serves him a stew which he enjoys enormously – “It tastes if it was all mine,” he says and eats it all. The bones he throws under the table, where his daughter collects them all in a silken handkerchief which she lays under a juniper tree from where a beautiful bird rises … you get the drift. The boy has been cooked, the father has eaten him and the stepmother will be punished in good time. 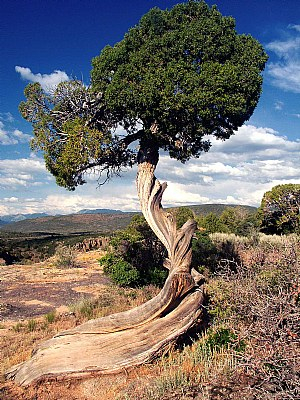 Juniper Tree ©2006 Edith Krueger-Nye. 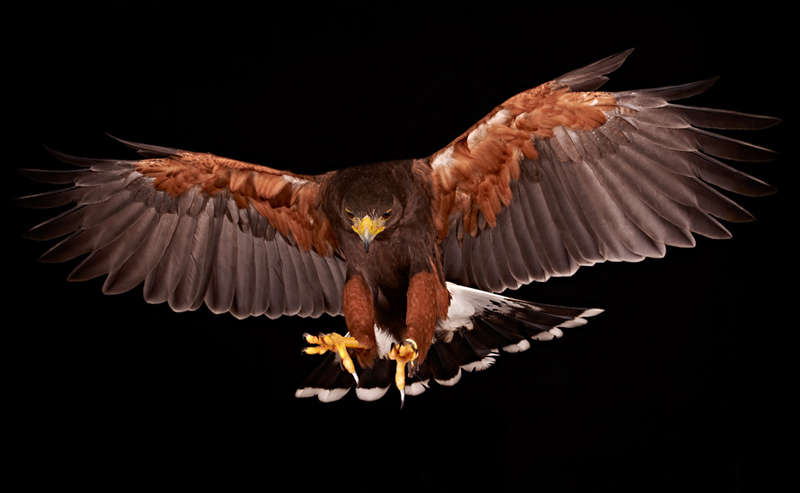 Harris Hawk. Image © Steven Hyatt. Sourced from Steven Hyatt’s guest post on Nikon Rumours, July 9, 2012.
put them under the juniper tree. 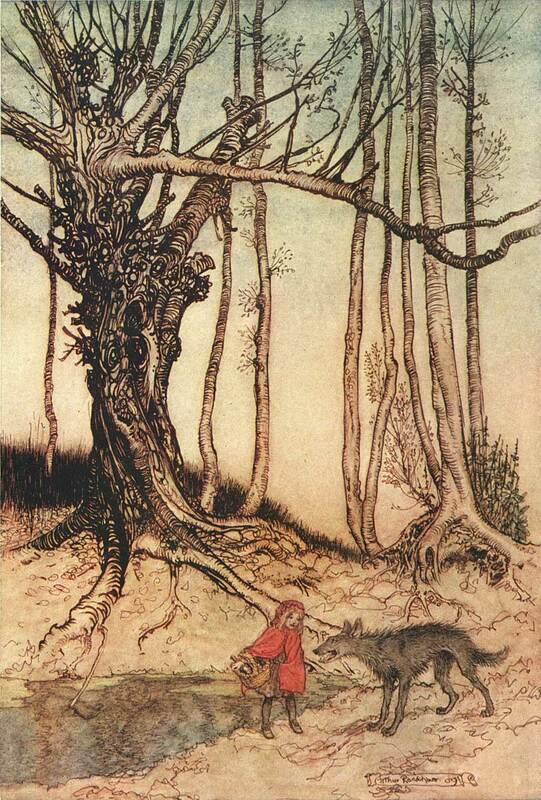 The story of the Juniper Tree – Von dem Machandelboom – is part of the collection of fairy tales – Kinder- und Hausmärchen – first published in 1812, and to commemorate 200 years of the Brother’s Grimm collective effort will be celebrated at an international conference later this year at the University of Kassel where between 1808 and 1830 the brothers Grimm were employed as poorly paid librarians but lived scholarly rich, productive and happy lives. Front side of the former German Mark banknote. The 1000 DM denomination indicating the esteem in which the brothers Grimm – Jacob and Wilhelm – are held in Germany. Apart from the collection of fairy tales, sagas and myths and scholarly volumes on the German Language, their magnum opus is their work on the German Dictionary (Deutsches Wörterbuch) which they begun in 1838 and worked on until their deaths – and which is still a long way from finished today. What about fairy tales in our days? It all depends. Firstly, on yourself, whether you were brought up on them or not, in other words – you would have a love for them; you would have experienced their emotional impact. 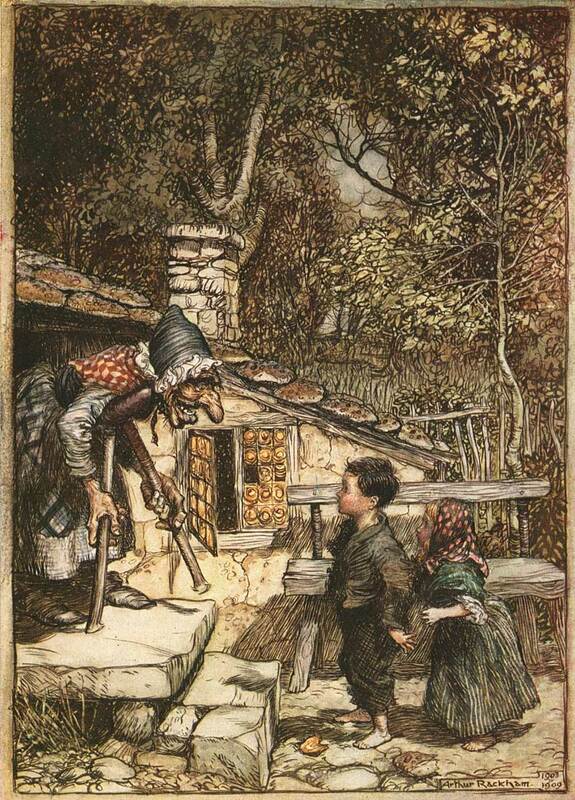 Then, you have to have someone to read them to – children between the age of around four to six, when their perception of reality is still relatively unimpeded by the unrelenting noise of the world around us and their antennae for magic are still quivering: fairy tales are to be experienced with body and mind alike. Thirdly, the hour of day has to be right. In the bright light of day the colours fade. Twilight is the time – no-time – neither day nor night – a time suspended – when none is yet defined and everything ultimately malleable, then you enter fairy tale time. Fairy tales address soul matter. And as such connect to DMT (Dimethyltriptamine), a naturally occuring psychedelic compound found in all humans and throughout our entire plant kingdom. Through DMT we were and still are seeded on earth and through it we are interconnected with all other life forms in the cosmos. Although never lost, we are growing less aware of it in the course of becoming integrated into the world at large. The world we are growing into has its own laws that treat dreamlike ways as retardations (which they are). Now, as grown-ups, we connect in other ways – through music, art, architecture, literature, films, photography, blogs, in sport, kite-surfing, friendship, love, adventures, in all forms and expressions of creativity … we are seeking to find ways of growing wings again and fly. Fly in ways we came into existence. Dreamlike. Weightlessly. Experiencing who we are and what we are destined to be – that is the stuff of fairy tales. In fairy tales, the transformational processes become equations of different stages of transition throughout our lives.